Whole Dog Institute - We help people and their dogs build meaningful, lifelong relationships based on mutual trust and understanding. We help people and their dogs build meaningful, lifelong relationships based on mutual trust and understanding. We are human coaches as well as dog trainers. Our goal is to help people train calm, well-behaved family pets that can be enjoyed for a lifetime. We offer private lessons in your home or at our facility and fun, upbeat group classes. 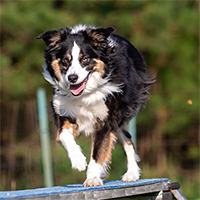 From basic obedience to agility and K9 Nose Work®, we have a class that your dog – and you – will love. Need a place to train? Find out more about our ring rental program. Learn more about our one-on-one coaching. 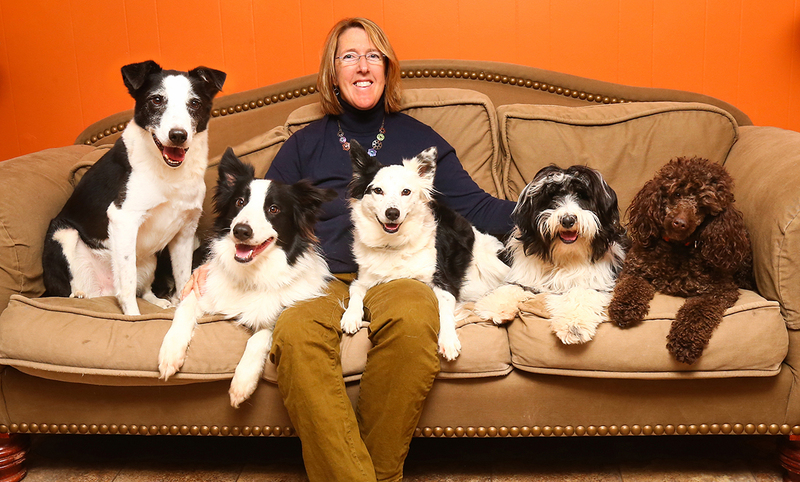 Sue McKinney, owner of Whole Dog Institute, has a natural gift for teaching. She uses that gift to help her students understand how to communicate more effectively with their dogs and how to solve basic behavioral challenges, as well as teaching dogs what we want from them. 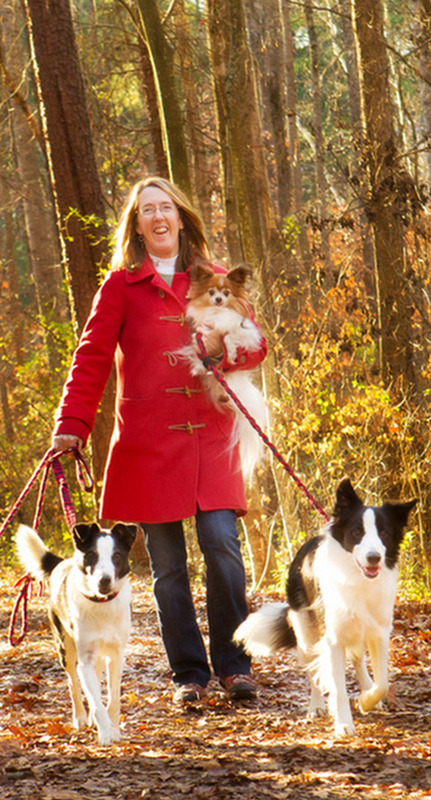 Sue is a Certified Professional Dog Trainer Knowledge Assessed (CPDT-KA) and a Certified Nose Work Instructor (CNWI). Thank you so much! We have loved your classes and instructors. Josie can be a challenge, and you all have allowed her the space that she needs to flourish in ways that she has trouble with in other places. And obviously that is a great gift to me as well! I have found each instructor to be positive and encouraging for the dog AND the handler. 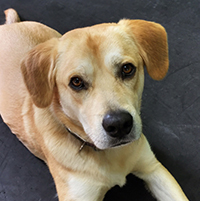 All of the classes have enabled me to communication better with my pup and have built my own confidence in managing dog behavior. Even in group classes, the trainers observe dogs and handlers individually and tailor exercises to the needs of each pair. At the end of the first week, I was amazed by the skills and commands Blue had already learned. It was clear that Blue LOVED learning and working in his training sessions. He was eager and excited to work, and actually seemed proud to demonstrate his new skills! Georgie's terrific. The entire family loves him so much. We took him to the dog park, [and] he greeted every person he met. Georgie came home muddy all over, and we put him in the bath tub with shallow lukewarm water. No squirming or resistance - he just sat down, plop, in the water and grinned. What a great family pet. My dog and I took your reactive dog class earlier in the year. I just wanted to let you know he/we are making real progress. He still has his moments of anxiety, but he is far and away more comfortable around other dogs and a lot of noise and confusion, and I am more comfortable exposing him to it. Thank you! Our family came to Dog Fun Forever for the basics, but we have learned so much more then that. 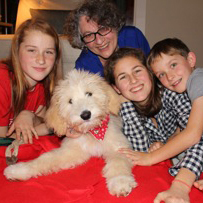 Sue and company were able to teach us how understand our puppy's needs along with communicate our needs to him, in a fun stress-free environment. He is now a perfect gentleman and an amazing addition to the family. I can honestly say that you have made an immense difference in our lives. I understand Leyla, my rescue Beagle, much better now thanks to the tools, exercises, and patient explanations you offered. 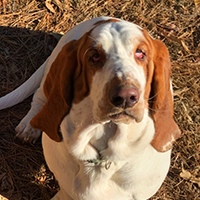 Now, I know how to connect to her, keep her engaged, and give her confidence and, as a result, have a happy dog. I had taken a couple of class with my boxer puppy at Dog Fun Forever with great results, so when Kate suggest that Lucille (my Pup) would really benefit from the Whole Dog Institute, I quickly enrolled her. First the staff there were GREAT. Whole Dog Institute. All rights reserved. Website by S&A Communications.